HOUSTON, MARCH 16, 2017 – Get ready to ride the Wheel of Reincarnation once more in Sentai Filmworks’ latest addition to the Spring 2017 anime lineup: RIN-NE 3. Rinne Rokudo, Rokumon, and Sakura Mamiya are back for more misadventures in a story that pairs school life with the afterlife. Saving lost souls on the tightest budget known to man is only a day’s work for half-human, half-Shinigami kind-of-thing Rinne! 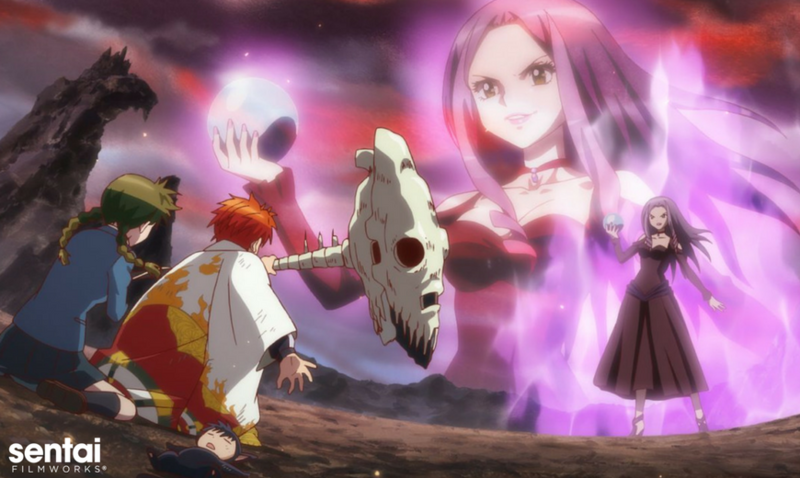 Together with the almost too-collected Sakura and his black cat Rokumon, life continues as normal as Rinne helps guide the dead to their final rest. However, new transfers are never a good sign, and a popular fortune teller ends up at Rinne and Sakura’s school as their new teacher. Things get chaotic when a strange girl wielding a scythe makes an appearance, and Rinne realizes that he might discover a major piece surrounding the mystery of his past. Based on the original manga by famed manga-ka Rumiko Takahashi (Inuyasha, Maison Ikkoku, Ranma ½), the series will be directed by Hiroshi Ishiodori (RIN-NE; Kiss Him, Not Me). Brain’s Base (Natsume’s Book of Friends, My Teen Romantic Comedy SNAFU) returns to handle animation production for the third season of RIN-NE. RIN-NE 3 is scheduled for an April 8th release in Japan. It will soon be available to stream on select digital outlets for the Spring 2017 simulcast season with a home video release to follow. For Sentai Filmworks’ latest announcements regarding this and other great titles, be sure to like us on Facebook and follow us on Twitter.